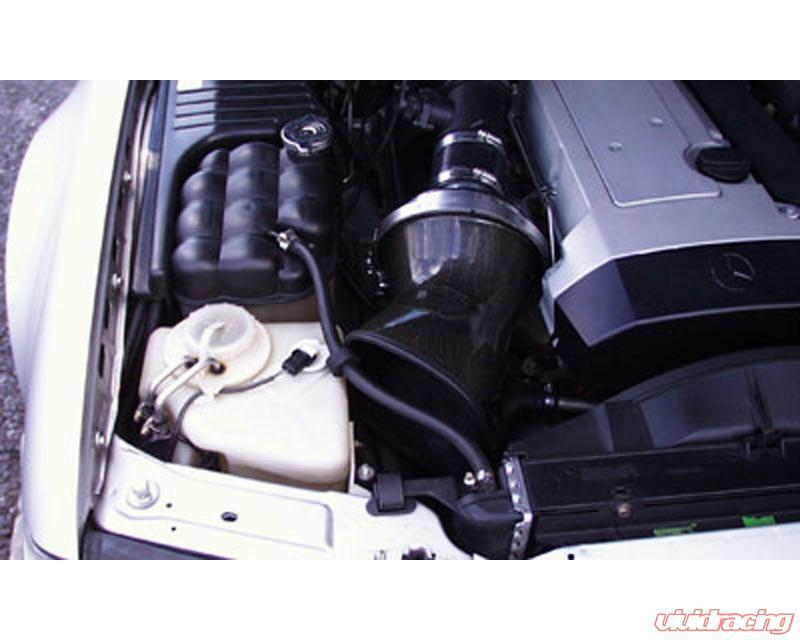 The GruppeM Ram Air Intake System was created to improve efficiency by reducing the restrictions of a stock intake. A factory intake system is designed to minimize cost and reduce noise within the cabin, but these tradeoffs also sacrifice performance. To increase efficiency and power, GruppeM has worked to reduce restriction and decrease the intake air temperature. Colder air is denser allowing the intake system to move a larger volume of air and in turn make more power. The shape of the duct and filter are designed specifically to increase the velocity of the air and increase the pressure, while at the same time fitting within engine bays cramped space. Carbon fiber was chosen as the construction material because it is lightweight and strong, making it perfect for high pressure intake air. This special carbon intake duct can provide the best air flow with ram pressure and provides enough chamber effect at peak power. By reducing the intake's restriction and smoothing the pathway of the air from filter to combustion chamber, the GruppeM ram air intake greatly improves throttle response. Not only is throttle response improved, but the smoother path, reduced temperature, and increased volume ultimately provide the driver with more horsepower and torque throughout the power band. What separates GruppeM air intakes from other intakes is its carbon fiber construction. Carbon fiber is heavily used in motor sports because of its extreme lightweight and strength. All carbon fiber pieces are made by hand. It is known by automotive enthusiasts worldwide. Not only is carbon fiber lightweight and strong, but its unique weave pattern is much more aesthetically pleasing than the plastic pieces they replace. 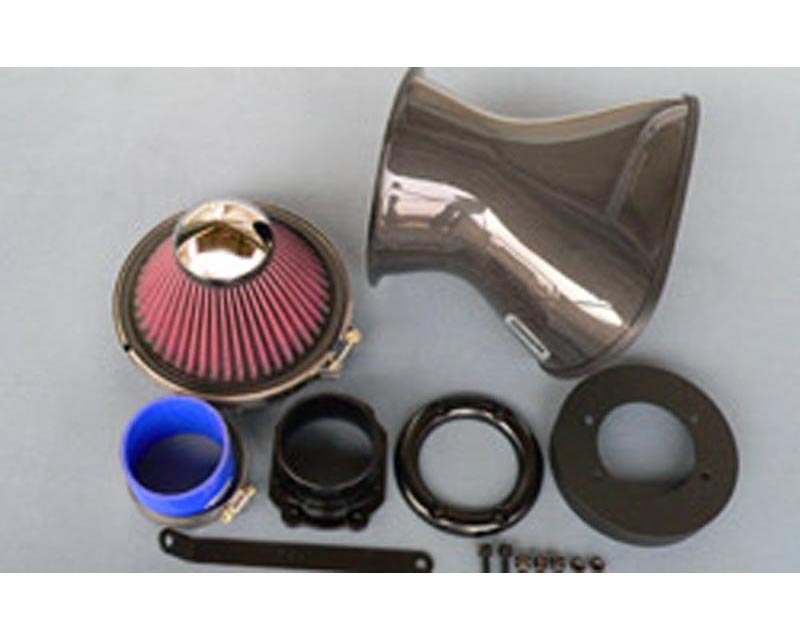 GruppeM Ram Air Intakes utilize world famous K&N air filters. K&N air filters are known for their superior flow compared to OEM filters. K&N filters are also washable and reusable. Product may differ from photo.